Accuvin’s paper, Monitoring for Profit, encourages grape growers and wine makers to check grape and wine characteristics throughout the harvest and wine making seasons. Records can be kept over years so that physical characteristics can be correlated with quality. 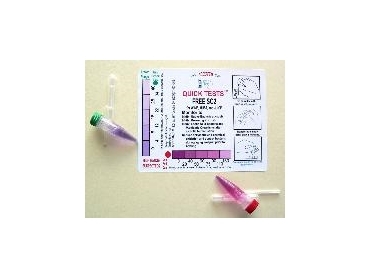 Kits with 10 and 20 tests are available through Novasys , usually ex-stock. A full pocket lab with fewer tests is available.